President Muhammadu Buhari yesterday led a pack of eminent Nigerians to pay tribute to the memories of pioneer Chairman of the Independent Corrupt Practices and Other Related Offences Commission (ICPC), Justice Mustapha Akanbi. Buhari, who was represented by the Minister of Justice, Abubakar Malami, At the eighth day Fidau prayer for the late judicial icon at Metropolitan Square, Asa Dam, Ilorin, said Akanbi laid the foundation of a critical pillar of Nigeria’s nascent anti-graft institutional framework. 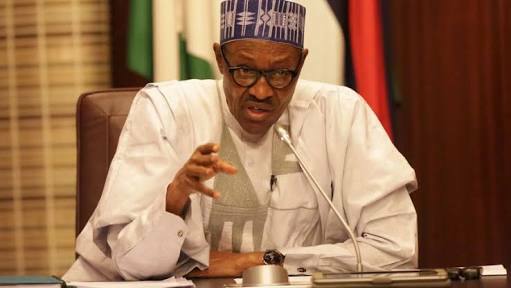 The President expressed satisfaction that many years after completing his tenure as chairman of ICPC, the deceased remained a strong and persuasive moral voice in articulation and implementation of Nigeria’s anticorruption agenda. The President, who said the country would forever be grateful to the late Justice Akanbi for his positive contributions, added that he would be remembered in noble terms and that Nigeria would continue to be inspired by his ideals and values. He said: “The legacy Justice Akanbi has left behind for Nigeria in general and for the legal profession in particular is one that will continue to inspire us all for years to come. It is indeed by appreciating those attributes that we are consoled at his departure at this time, at the blessed age of 85 years. "Throughout his impressive career on the Bench, which culminated in his ultimate elevation to the position of the President of the Court of Appeal, he displayed an uncommon sense of integrity, diligence and capacity for team work. “He played his part fully as a responsible family man, a strong voice for religious values, a crusader for humanitarian causes and a pillar of support to his immediate and extended communities. It is particularly gratifying to note that these personal values and norms as well as his commitment to high human ideals will continue to be promoted by the various foundations, which he either founded or was affiliated to." Dignitaries at the Fidau include the Kwara State Governor, Abdulfatah Ahmed, Senator Mohammed Sha’aba Lafiagi, former National Planning Minister, Prof. Abubakar Suleiman, Dr. Wale Babalakin, Registrar of the Joint Admissions and Matriculation Board (JAMB), Prof. Ishaq Oloyede. Others were the former Chief Justice of Nigeria, Justice Modibbo Alfa Belgore (rtd); former Appeal Court President, Justice Isa Ayo Salami; former United Nations Undersecretary- General, Prof. Ibrahim Gambari; Senate President, Dr. Bukola Saraki was represented by Alahji Saka Isau (SAN); Labour Leader, Isa Aremu; Executive Chairman, Kwara State Internal Revenue Service (KWIRS), Dr. Muritala Awodun; Secretary to the Kwara State Government, Isiaka Gold; Mallam Yusuf Olaolu Ali (SAN); Adebayo Adelodun (SAN) Chief Executive Officer of Lubcon Oil, Alhaji (Engr) Tijani Ibrahim; and National President, Association of Nigerian Authors, Mallam Denja Abdullahi. The Emir of Ilorin Alhaji Ibrahim Sulu-Gambari; Vice-Chancellor, University of Ilorin, Prof. Sulyman Age Abdulkarim; his predecessor, Prof. Abdulganiyu Ambali; Chief Imam of Ilorin, Alhaji Mohammed Bashir; among other dignitaries in all walks of life also graced the Fidau.